We are so excited to announce our 2nd Annual Oktoberfest Fundraiser. Please save the date. We will post an announcement as soon as tickets are available. We will have the same delicious menu as last year. We will have a booth at the “Christmas in the Country” Craft Fair at Tebala Shrine Center (7910 Newburg Road in Rockford) this Friday, Dec. 1 from 10 am until 5 pm and Saturday, Dec. 2 from 9 am until 3 pm. ALL PROCEEDS FROM THE SALES FROM OUR BOOTH ONLY will go directly to support Sgt. P’s Lapghans for Veterans. We have a selection of hand-crafted items for sale, so come on out and do your holiday shopping while supporting our veterans! Admission to the Craft Show are canned goods or non-perishable item for the Belvidere Boone County food pantry. Please DO NOT bring expired items to donate. The “Christmas in the Country” Craft Fair will have over 55 booths of hand-crafted items for sale. November 28, 2017 is #GivingTuesday and we would greatly appreciate any support you can offer. Sgt. P’s Lapghans for Veterans was established on Flag Day (June 14) in 2014 and is a 501(c)(3) non-profit charitable organization. 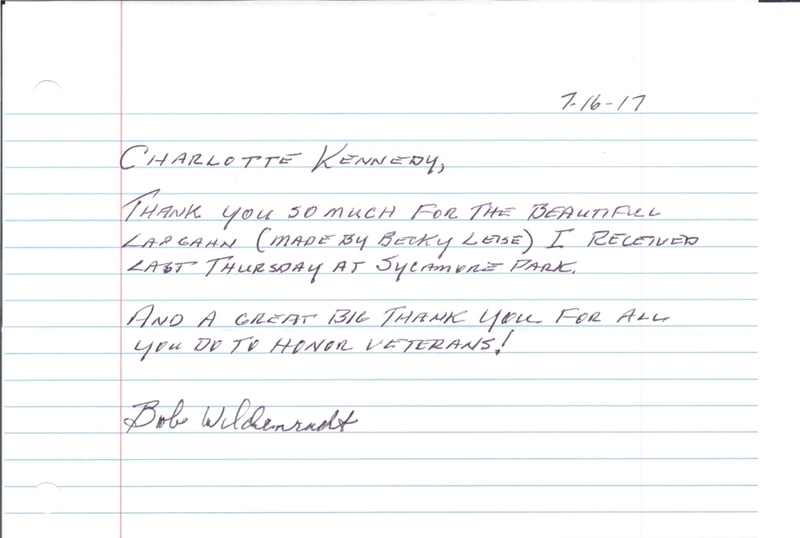 Our mission is to wrap our veterans in comfort and warmth with lapghans made out of love and gratitude for their sacrifice and service. In 3 years and 5 months, we have distributed a total of 2,043 lapghans to Veterans and Active Duty Military Personnel in the U.S. and abroad. We distribute lapghans YEAR ROUND at local VA medical facilities, Veteran Stand Down Events, at dedicated Veteran Events, and by request. We even shipped 108 lapghans for distribution to the recovering wounded military personnel at the Landstuhl Regional Medical Center in Landstuhl, Germany. Check our distribution statistics for more details on where we distribute and for current numbers. Lapghans are complimentary to any veteran and active duty military person. NO ONE in our organization receives a salary. ALL labor is donated. For every dollar raised, 68 cents goes to the veteran and the remaining 32 cents goes towards operational costs. A single lapghan, depending upon pattern and method of creation (i.e. 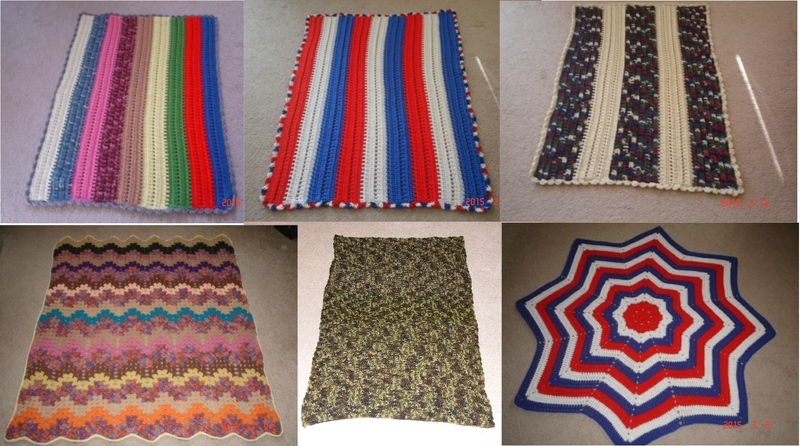 crochet, knit, quilt, sew) takes at least 40 hours to complete and costs approximately $40 to $50 of materials. We are a small organization that relies solely on the generous donations from people like you. Feel free to explore our website for pictures, testimonials, media coverage, and more. All donations are tax deductible under section 170 of the IRS code (EIN: 47-3952584) No goods or services were provided in connection with this contribution. Boy, this sure has been a crazy busy month. Lois and Joanie represented Sgt. P’s Lapghans at the Freeport Stand Down and presented 28 lapghans. 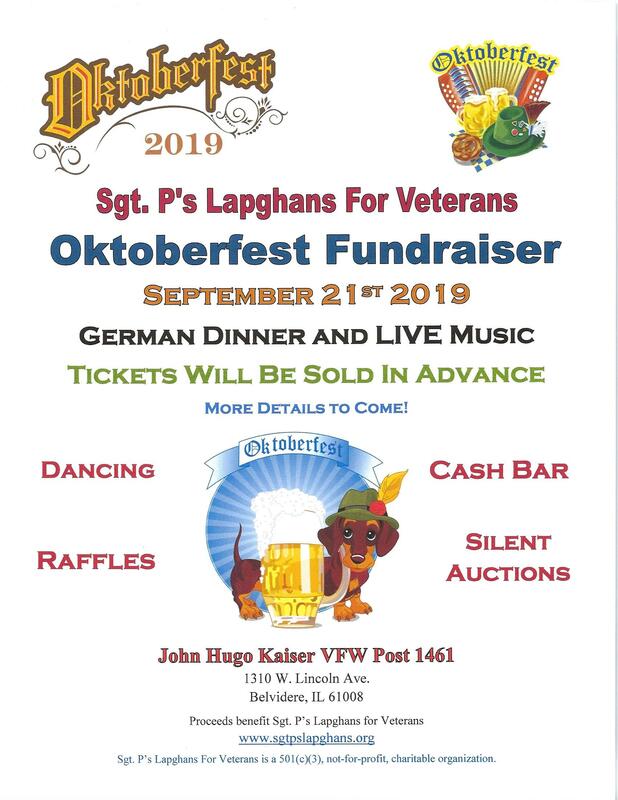 On October 14th., we had our Oktoberfest Fundraiser Event. We don’t have the final numbers yet but know by the turnout that it was a success! Thank you to all of my volunteers for all of their help. You don’t know how much I appreciate it. Also, the Ross -Pearson VFW Post 5159 in Rockford did a fundraiser for our organization on the same day and that was very successful. Once again, thank you to Bob and Tim, John Guler and all the volunteers that made the Freedom Feud a success. Today, we participated in the Rockford Stand Down and presented 88 lapghans, 42 scarves, 55 hats/ski masks, and 1 pillow. At one point, there were over 160 homeless and less fortunate veterans that came thru the door. 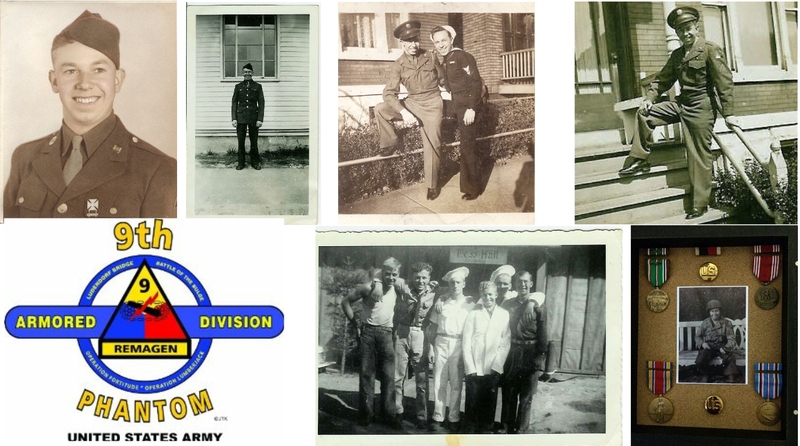 We do not have the final number of veterans yet; but we will keep you posted. Please feel free to scroll down and see a couple pictures that were taken at the Stand Down today. I want to thank everyone who had helped us these past few months with their donations. Your donations are helping us fulfill our mission of, WRAPPING OUR VETERANS IN COMFORT AND WARMTH WITH LAPGHANS MADE FROM LOVE AND GRATITUDE FOR THEIR SACRIFICE AND SERVICE. 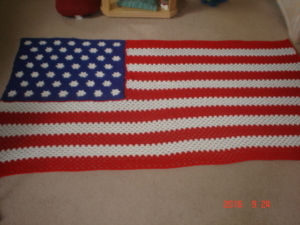 Hi Everyone: I just want to take this time to announce the winner of the beautiful American Flag Afghan. Congratulations to Peter Steiger of Marengo, IL. Thank you to everyone who supported this fundraiser. We want to thank Mary Brubach and Julie Pilgrim for presenting me with a check of $100.00 to Sgt. P’s Lapghans For Veterans from the Garden Prairie Improvement Association. Thank you so much and a virtual hug to both of you. Also, thank you so much to the patrons of Priceless Junk for donating some yarn. We appreciate it greatly. Priceless Junk will continue to collect new yarn and left over yarn for our organization; so when you stop in to donate yarn, be sure you browse all the neat items that Priceless Junk has to offer. Come on out and see us on Sunday 10-3 at the Harlem High School Craft Fair. We have a wide range of craft, patriotic/military items for sale from $2 to $25. We could use everyone’s support! Thank you and I look forward to seeing you on Sunday. We will be at Braveheart on Saturday, passing out lapghans to veterans! 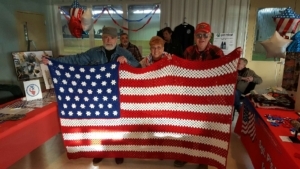 We are raffling off a Flag Afghan (approx. size 47″ x 90″) on November 11, 2016. This afghan was made for this fundraiser by our volunteer, Jolanda Hollibush. Tickets are $5 each. Only 200 Raffle tickets will be sold, so contact us today to purchase your ticket. Drawing will be held on November 18, 2016. 113 S. Van Buren, Cherry Valley, IL. LOTS OF GREAT STUFF. SOMETHING FOR EVERYONE! 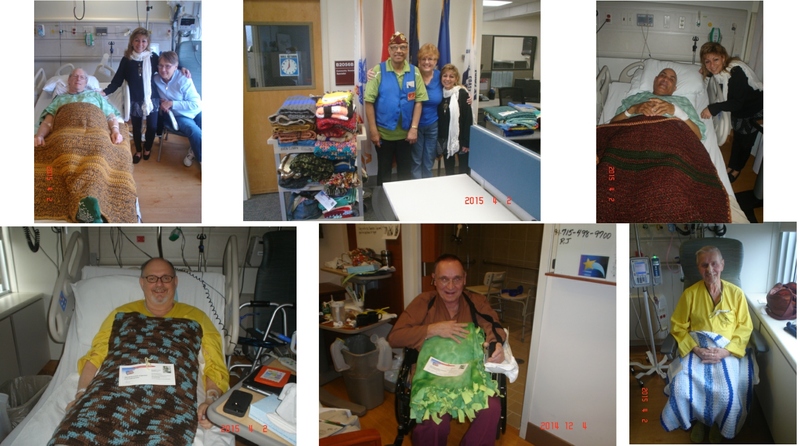 Please help support our mission of wrapping our veterans in comfort and warmth with lapghans made of love and gratitude for their sacrifice and service. YARN AND MONETARY DONATIONS ARE ALWAYS WELCOME. We would like to thank everyone who came out and volunteered, participated, and stopped by to cheer our participants on at our First Annual Stars and Stripes 3K/5K Fun Run/Walk on August 6, 2016. We had a lot of fun and a great turn out. Next year will be even better! Keep checking our website for updates on distribution, activities, and fundraisers. 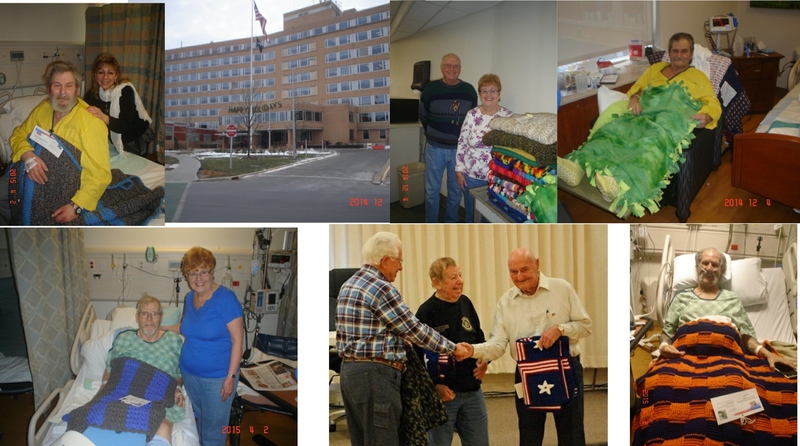 Hi Everyone: This past week, we presented 30 lapghans to Veterans at the Rockford VA Clinic. Karol accompanied me with 6 dozen home made cookies that went fast. On May 20th,( which is the day before Armed Forces Day),at 10a.m. we will be presenting 20 to 25 lapghans to the Veterans that reside at Heritage Woods in Belvidere. The Belvidere VFW color guard is planning on being there at 10:30 a.m.
Our next fundraiser is on June 4th at 2pm. The Senior Follies will perform a 1 hr. variety show consisting of singing and dancing. There still are a few remaining tickets and they are $5 in advance. Even if you are unable to attend, we would appreciate you purchasing the ticket as a donation to our organization. The ticket has a receipt for your donation. Our big fundraiser is the 1st Annual Stars and Stripes 3K/5K Fun Run/Walk. It is scheduled for Aug. 6th. Please help us make this a huge success. Our organization depends on these fundraisers to keep going. To date, 939 lapghans have been presented in 23 months. The need is much greater than we ever expected. Please help us continue this worthwhile cause. No donation is too small. We are a 501(c)3) not for profit organization so your donation is tax deductible.